It is Bloggiesta challenge time! One of the most difficult tasks as a blogger is keeping everything organized. I have participated in many conversations over the years about how to plan posts, organize a blogging calendar, maintain a list of future discussion posts, and more. This May, I will be celebrating 7 years of blogging and I finally feel like I have found a system that works for me. Allow me to share my organizational saviors . . .
EVERNOTE: When I discovered this app, my life changed for the better. It is really that good! I can sync my notebooks via my laptop, mobile, and desktop computer. No matter where I am, I have my little “notebook” to jot down ideas, maintain my list of tasks, keep a running list of future discussion posts, save articles that I want to share with my readers or to save for later reading (by using the Evernote Web Clipper), and so much more. Let me show you just a few ways that I use Evernote . . . I have a notebook for everything! I have my personal notebook, one for blog projects, a specific one for special links I want to share with my readers and another for all those links that I have already shared, one for photography tips I want to reference, and so many, many more. There is really very few limits to the number of notebooks (well, if you use the FREE account, you get 100). Within each notebook, you can then break your organization down into greater detail. 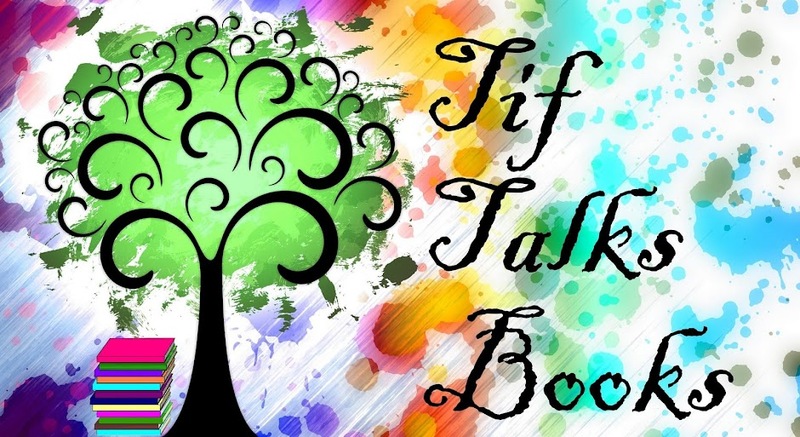 For example, under my Blog Projects Notebook, I have a number of separate notes: Tif Talks Books, Armchair BEA, Book Bloggers International, to name my main ones. I also have a few others for special blog projects (e.g., my journaling challenge), but you can get the idea. Within each notebook, I then break my notes and organization down even further. I keep running lists of tasks, such as my ongoing Bloggiesta To Do List. I jot down notes for future discussion posts. I track where I left off on my review indexes, so I know where I need to catch up and how long it has been since I last updated these pages. I keep lists, notes, contact information, web articles, and so much more. There really is no end to the creativity in your organization. One thing I want to particularly address is my daily list of tasks. I keep a running list within my personal notebook of all the things I need to do. I put everything on this list, from blog updates to personal reminders and errands and so much more. I usually keep this list a month in advance, and this is the note that I use the most frequently. It is opened every single day, despite my little example below not including weekends. (I use my weekends as catch-up time, so whatever doesn’t get completed during the week, I usually make it a point to finish during the weekend.) It has been so great to help divide up my tasks throughout the week, guaranteeing that I remember to work on all the different projects that I currently have on my plate. Now, before moving on to the challenge, let me share some additional thoughts on organization from other bloggers . 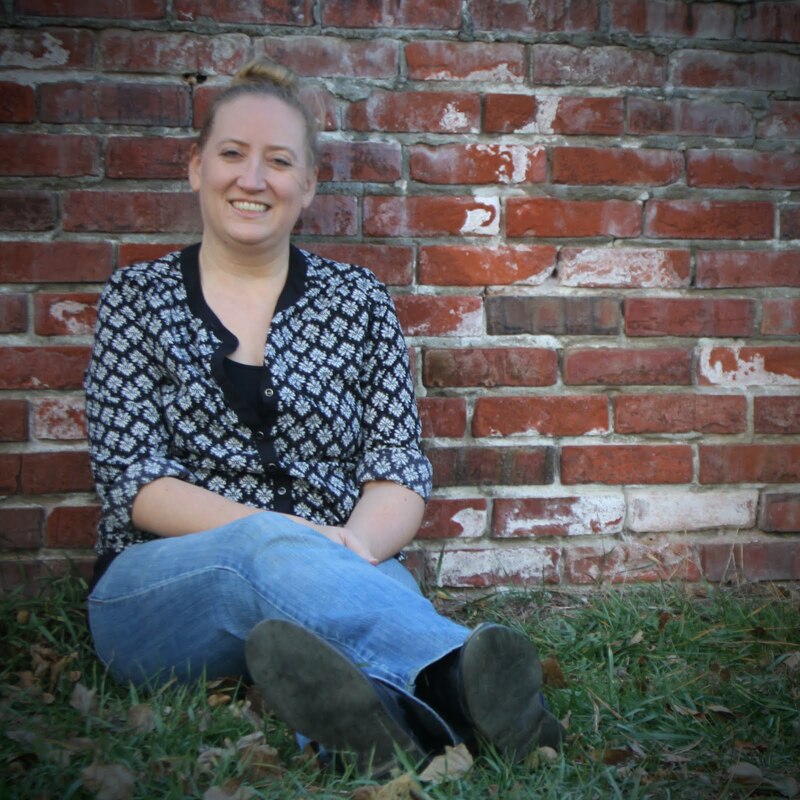 . .
Kinna from Kinna Reads: Kinna uses Evernote for everything. She uses it for monthly planning, gathering ideas for blogs posts, clipping other's reviews of books to read later as well as poems and short stories to read. In short, everything to do with her blog. Tanya from Girlxoxo: Tanya uses Evernote in a wide variety of ways, but in particular, she uses it for her blogging calendar. She shares details with you all about it here. Evernote has not yet found everyone and not everyone feels Evernote is the right tool for them, so here are some additional ideas and resources for you from others in the blogosphere . . .
Suey from It’s All About Books uses Google Drive from spreadsheets for reviews to docs for listing ideas. She also uses a tiny paper calendar the old fashioned way (just like me!). Jenn from Jenn’s Bookshelves uses Google Calendar and lots and lots of spreadsheets. She uses the latter for tracking review copies that come in, publicity contact info, etc. You can view more information here on those spreadsheets. Bryan from Still Unfinished uses Evernote, but also the app Day Journal /Day One (depending on your device you downlowd the app to). 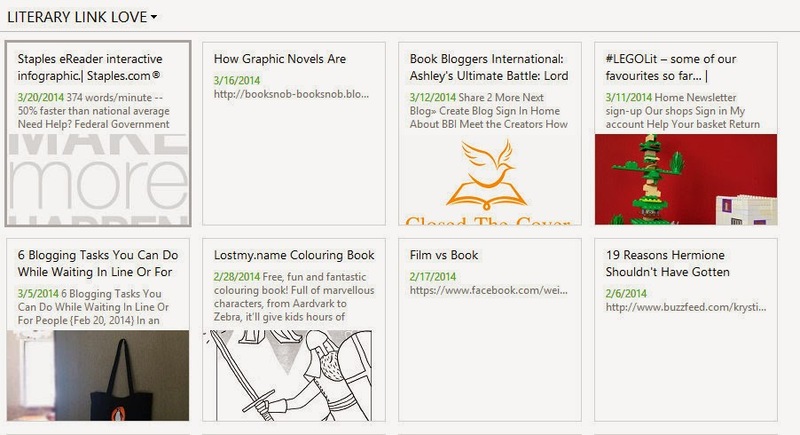 You can find a list of all his blogging tools here for more information. Charleen from Cheap Thrills uses Google Calendar and MS OneNote. She prefers this resource because it's easier to navigate between tabs than lots of separate files (or one massively long one). 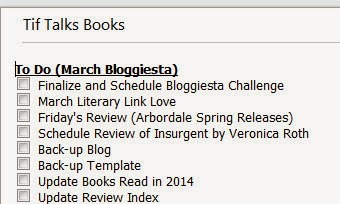 Brianna from The Book Vixen uses Google Calendar, Google Docs, Wunderlist app (to-do list), and Goodreads. How does she utilize Goodreads? 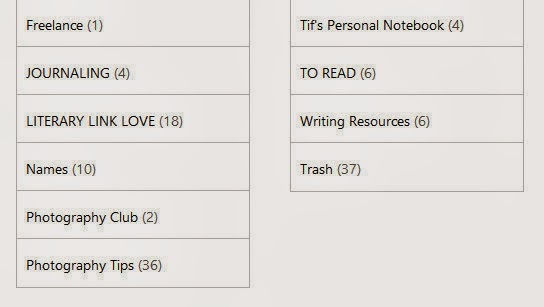 She uses the 'private notes' field to note where she got the book and also has dedicated shelves like review queue, to be reviewed (meaning book has been read, I need to write review), etc. Now, it is your turn! If you feel you have no room to improve and you have already perfected your organizational skills, share in the comments what you use to stay organized. If there is room for improvement, explore some of these options and get organized now. And, remember to come back and share in the comments how you decided to get organized. Questions? You can ask those in the comments section as well! Happy Organizing!! 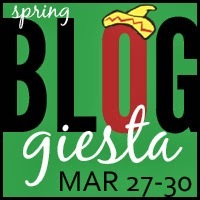 Don't forget to check back at Bloggiesta Headquarters for more challenges and information on this event. Bryan G. Robinson ... I'm glad I could give you a pleasant(?) surprise!! I also mentioned Tanya in my list and Florinda was mentioned in your post that I linked up to! I really, really love Evernote! It has really helped me with my scattered brain. Maybe it reflects my scattered brain a bit too much?!? I have used Google Drive and Google Calendar for everything, but I always felt it was not good enough. I just downloaded Evernote and I am loving playing around with it already! This is so great! I can keep up with my discussion post ideas and write down thoughts as they come to me, I can keep a running list of stuff for Book Bloggers International, I mean it is great! For some reason I thought Evernote was only for tablets and I Phones. I don't know where I got that from. Becca Lostinbooks ... I can see where you got that from actually. That's where I think I first heard of Evernote, but then I saw something somewhere else and the rest is history!! I really do consider this app a life-changer! Andi ... Or, maybe try one of the other apps or resources mentioned? Evernote doesn't work for everyone. I'm going to figure this Evernote thing out once and for all! Suey ... Once I figured out my "system," it has been so fabulous! Holler if you have any questions along the way. Brianna (The Book Vixen) ... When you do start, go small. Go with the original notebook that you begin with and start small. You can build from there. I'm going on almost a year of using it now, so it is become more complicated over time. That's what overwhelms me - the endless capabilities Evernote has. LOL I'll remember to do that, to start with the original notebook. Thanks for the tip! I haven't tried Evernote! I just started using MS OneNote and am liking it so far, although I haven't tried syncing it between multiple computers yet. That'll be what really tells the story -- it helps me a lot to be able to access my notes on more than one computer. Jenny @ Reading the End ... That is something that I love about Evernote! I have looked over OneNote as well and I do like the look of it, but I think that I was already committed to Evernote to change. I've never heard of Evernote, but Im totally intrigued. I do the old school notebook and paper calendar which is fine unless I'm somewhere without my calendar. It'd be nice to have an electronic something at least as back up. Wesley Hoffman ... I definitely recommend Evernote! It is so convenient, especially if I am out and about running errands or at my kids' activities. You never know when an idea will strike you!! This was so helpful and motivated me to start using Evernote more effectively. I've been half-assed using it for a few months but stayed up late last night creating folders, refiling things, etc, etc. Thanks! I use Wordpress Editorial Calendar and a physical diary with color coding. Retha Groenewald ... There really is something to those colored pens, right?!? I still use a notebook for a lot of other things as well as colored pens. They are just so fun!! I hope you find the right tool for you!! Thanks for this. I love love love my Editorial Calendar app and can't live without it. But besides post planning, I really need to switch to a 100% digital system, but I do happen to like my paper and pencil technique for things. Rebecca @ Love at First Book ... There really is something about paper and pencil. I will confess that I typically write out all my reviews by hand before they go here! BUT, I also write the initial ideas for discussions in Evernote because they usually happen at the most inconvenient times and I always have my phone with me! FICTION STATE OF MIND ... I hope it works out for you!! I'm a big fan of Google Docs. For our blog calendar, we actually use the spreadsheet tool instead of the calendar. It's easy and gives us space to show if we are having more than one type of post going up, etc. Then we highlight them as they are scheduled. Kristen ... That's interesting! I would be curious to see what your spreadsheet looks like! GABY ... Well, I hope this helps you figure it out and get started with it! I am working on refining my use of Evernote as well as working with Goggle docs and calendar. As always it is a work in process. Thanks for your tips and for hosting the challenge. Shannon Leigh ... You're welcome! It really is always a work in progress. Good luck with it and holler if you have any questions. I downloaded Evernote on my phone months ago but never really figured it out, thanks for the details! I had no idea I could add To Do lists!! That would be amazing for me!!! Kim @ HappyPrettyBlog ... I love lists and use them a lot! That's what I probably love the most about Evernote. It's a great place to keep all sorts of lists! I like Pocket for saving links to interesting articles. It's really useful. Chris bookarama ... Yay!! I left a comment on your post earlier tonight! Paper for any moment, any.do for short term to-do's, evernote for bigger or long-term things. I use pocket for saving things to read later, and apply the same rules and tagging like with GTD! Samantha Nicola ... GTD method?!? I'm not sure I'm familiar with this. Do tell me more.